Gabriela Rosa: I hear you my darling! Vegetarianism is difficult for optimum fertility, Karla can tell you all about that…. Do you have eggs? Here’s an excerpt of my book “Eat Your Way To Parenthood: The diet secrets of highly fertile couples revealed“. 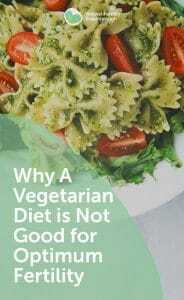 Most vegetarians eat badly, even when they try to eat well. I know, because I was a vegetarian for 12 years. When you are a vegetarian you have to be super conscious of what you are putting in your mouth. It’s incredible, but most vegetarians don’t even eat vegetables daily. We rely mostly on carbohydrates and starches as staples, contrary to what one would think vegetarians would eat. I became a vegetarian when I lived in Germany. In 1996 there was a contamination scare over meat coming from Chernobyl. I decided, since they didn’t know which meats were contaminated and which were not, that it would be best to avoid them all. Therefore, I did. When I left Germany a year later, to go back to Brazil (which has some of the best meat in the world) I was too far into my ‘vegetarian beliefs’ to go back to eating meat again. For the next 11 years, and another cross-continental move (back to Australia), I didn’t. While I was following my strict vegetarian diet, I was putting on weight and didn’t seem to be able to shift it, no matter what I did. This went on for quite a few years and was extremely frustrating. One day I made a decision that, given I had some insulin and blood sugar problems, if I wanted to reclaim my health, I would have to change what I was doing. At that time, the ‘Zone Diet’ was popular, so I grabbed the soy-based (oh no!) vegetarian version of it and went to work—no results. Soon after, the glycaemic index became the latest craze and as a practitioner of course it made sense. So I followed it and definitely noticed an improvement. Progress was slow but my insulin and blood sugar irregularities had improved out of sight. I was happy with that. For the next couple of years, I considered eating meat again. My energy levels were low and not sustained and I STILL wasn’t losing weight, but at least now I wasn’t gaining either—a bit of a bonus! One day I’d had enough and decided to eat fish again, with the intention of only eating fish. However, that led to a little organic chicken and then a little beef. At each meal, I ate predominantly non-starchy vegetables and cut out pasta, rice, potatoes, root vegetables etc. I must admit that after 12 years, it was a bit strange to ‘go back’. Also, I was worried about what people would think, given that I had so strongly defended my vegetarian beliefs and opinions for such a long time, but decided my health was far more important than my ego. In a matter of months (after years of ‘trauma’), my health was again 100%; I felt much better, lost the weight and reversed my blood sugar issues. The only other major change a couple of years later was that I started doing consistent weights training (high weight, low repetition) and am now at my ideal weight and body shape. And I would never go back. Why do I tell you this story? To illustrate a point. Sometimes we think we know what is good for us, but when we are consistently not getting the results we want/need, not only it is OK to try something else, but it is essential! I learnt this from personal experience, but also from guiding many people to achieve ultimate health. In order to have a healthy baby, the body needs to be in balance, and sometimes being a vegetarian simply does not provide the kind of base needed. Mass wise, every cell in the body is approximately 50% fat and 50% protein, both of which the body prefers animal sources. Of course different body types have lesser or greater needs depending on its makeup. 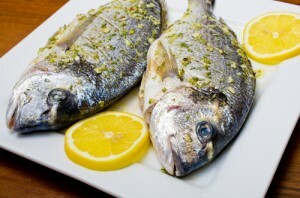 The most easily assimilated fatty acid for cellular repair and brain function is DHA from fish—although this does not mean you should be eating only fish and you need to ensure that the fish you eat are small, deep-ocean fish, and that you do not eat fish more than twice per week to decrease the possibility of contamination with polychlorinated biphenyls (PCBs), by-products of industry and heavy metals—hence the importance of DHA supplementation. In addition, the most complete form of amino acids, the building blocks of every cell or function in the body, are found in animal protein. To build and repair cells, as well as make hormones, (which are essential for the hormonal balance that ensures optimum fertility) vegetables are not enough. 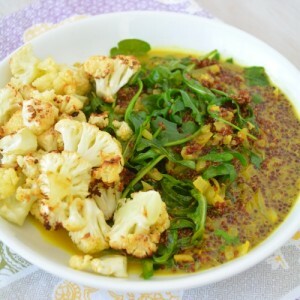 If you, or your partner, are a vegetarian, discuss your needs for protein with your naturopathic practitioner. I would also highly recommend you take the Metabolic Typing Test online and/or read Dr William Wolcott and Trish Fahey’s book The Metabolic Typing Diet: Customize Your Diet to Your Own Unique Body Chemistry. Finally, for anyone who wishes to continue to be vegetarian – in our clinic to ensure amino acid repletion we recommend and refer our patients for comprehensive amino acid testing and custom supplementation. And every time, I find major imbalances, particularly for long term vegetarians. Not wanting to be negative about vegetarianism as a lifestyle choice. It’s just not the best choice for optimum fertility – proven by scientific research and evidence on how amino acid imbalances negatively impact sperm and egg quality. A: Great question! As Gabriela mentioned, I know about being vegetarian and having sub optimal fertility results (actually no results at all!). Kristine, can also tell you about her experience. I was a vegetarian for 14 years before seeing Gabriela. The comprehensive testing she did showed that I was severely malnourished especially when it came to amino acids. In fact Gabriela had never seen a result that low for one of the essential amino acids. In addition, I had candida issues from over consumption of carbohydrates. I was already food combining vegetable protein sources, eating eggs (but found out I was intolerant to the egg white!) and taking a protein powder. So, I decided to bite the bullet and start eating meat again. I had become vegetarian for a number of reasons one of them being that I thought it was healthier but also because I am an animal lover. The way I came to terms with it was by only buying truly free range organic meat. That way, I knew it had been raised humanely and ethically. Also, I only ate small amounts of meat (initially I could barely stomach a bite!). Anyway, I’m here to tell you that after several years of miscarriages and then not being able to fall pregnant at all, I conceived first try after doing Gabriela’s program. I have 3 children now. If for ethical reasons, you just can’t try meat again, you will need to be super diligent and implement the recommendations outlined above by Gabriela. I hope this helps. A: I was eating a little fish when I first started with Gabriela and was diligent with eating a variety of protein sources including eggs most days. Hubby and I were vegetarian for a few years and felt quite passionately about it for all the reasons to be a veggo! One day hubby decided he wanted to eat meat again, just like that. I did eventually too but not until my third trimester of pregnancy, my iron dropped a lot at the start of this trimester and I was craving roast chicken!! I resisted for ethical reasons but not for long. It took me another 6 months to try red meat. Like Karla I source the best quality I can for ethical and health reasons. In hindsight I needed more iron and protein while pregnant. I also reached a point where so many plant foods either disagreed with me (gluten, grains, beans) and I had to avoid soy and raw brassicas for my thyroid. I had to be realistic about where I would get a broad range of nutrients from. My main reason for choosing certain foods is for my health and that needed to take precedence over other reasons such as animal cruelty, the environment etc. this is my value system by the way, Im not saying it should be yours. Q: I’m a vegetarian also. I swapped brown rice for quinoa, added in eggs, pumpkin seeds, nuts and chia for snacks and I’m currently on the hunt for a good dairy-free soy-free protein powder just to bump up my protein. I love beans and lentils too. I don’t really know anything yet about this diet. Why did you swap brown rice? I’ve just started to eat eggs again and am eating a ton of seeds and nuts. Will hunt for some chia seeds. If you find any of the protein powder, let me know. Thank you!